Goodbye, House. Hello, Home! Blog : HELP! Can this Fireplace be Saved? For now, I would paint it white instead of taking a hammer and chisel to it. 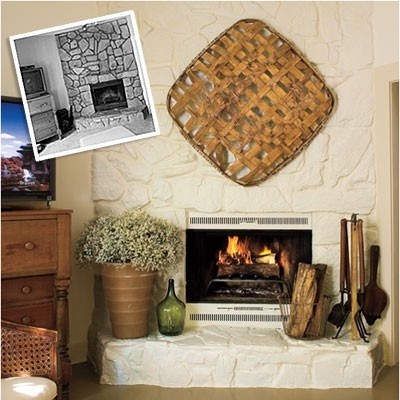 Will you be using the fireplace in winter? 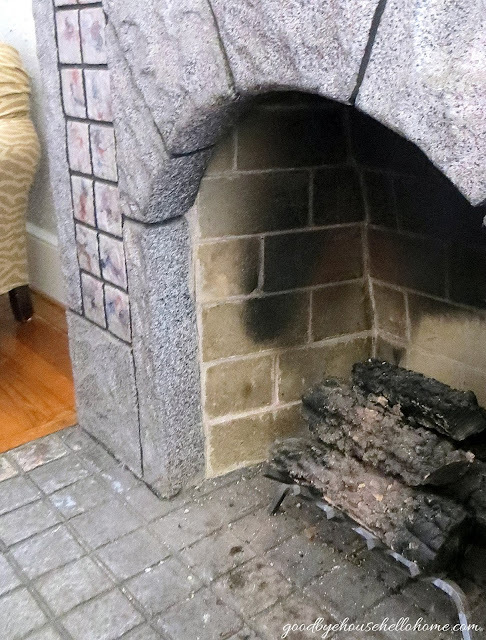 Our fireplace was white when we moved in and while it looked good, it wasn't functional since we have a fire nearly every night in the winter. It just looked sooty and dirty all the time. Guess what I forgot to mention? That it doesn't even work (we can't burn wood in it)! It's another 4K to get it lined and up to code. So, we may simply put an electric heater (we have one that looks like a tiny coal burner with faux flames and everything!) in the opening this winter. If money is not an issue... have it taken out... even DIY'ers need help on occassion!! LOL... and then start from scratch!! That wall should be screaming "look at me.. 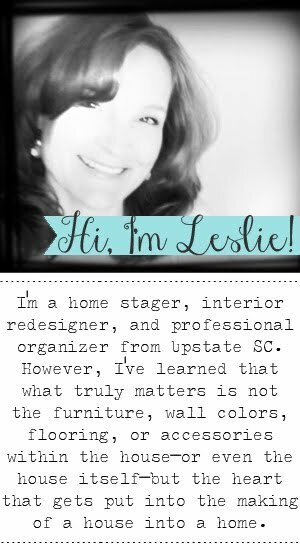 I live in a Craftsman style home"!! :) :) :)....LOL.. well, I am just kind of kidding... but I will say since it doesn't work and you can't use it ... why not go for it!! Do what you really want to do!!! BUT ... ALSO...( on a different note).. I AM EXCITED ... just to see a post about the house... I've been checking to see what's going on!!!! Congratulations on the move in!!!!!! 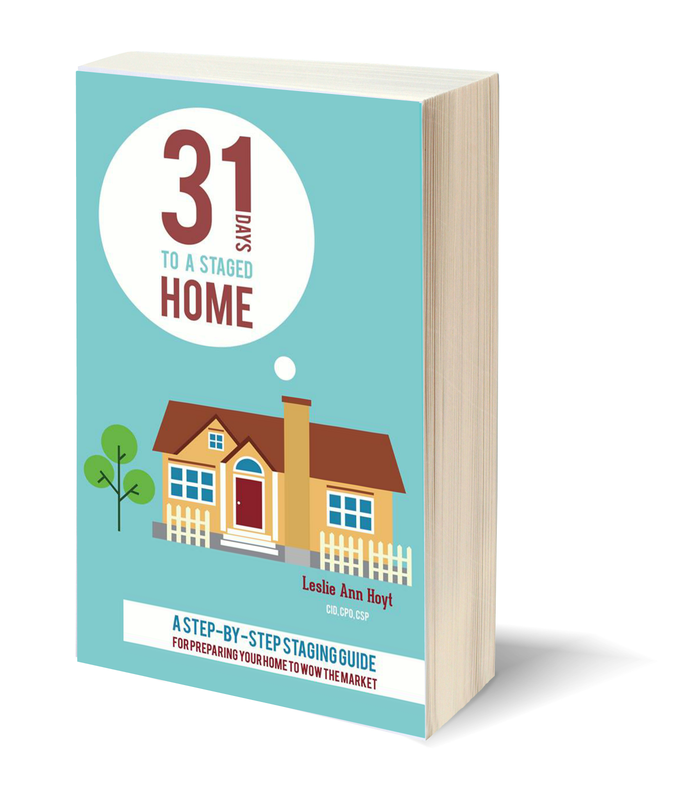 Love your posts and I agree I look forward to watching your new home come to life. Another thought about painting the fireplace. My way of thinking is this, paint is relatively cheap and a lot less laborious than removing it. So my suggestion would be, paint it first, live with it and then decide once you have more time to take on the task of removing it. I love pops of black & white in my home, perhaps the bulk of the fireplace in your trim color or white and the mantel in black. 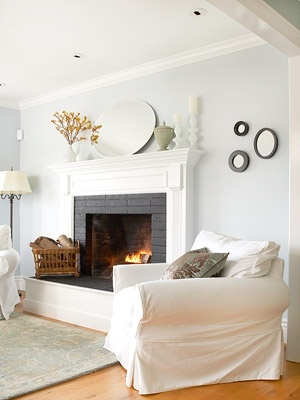 If black is to harsh for your taste, then the bulk the trip color and the mantel white. I'm sure whatever you decide will be lovely and I like everyone else will look forward to admiring it when it's done. God bless you Leslie! 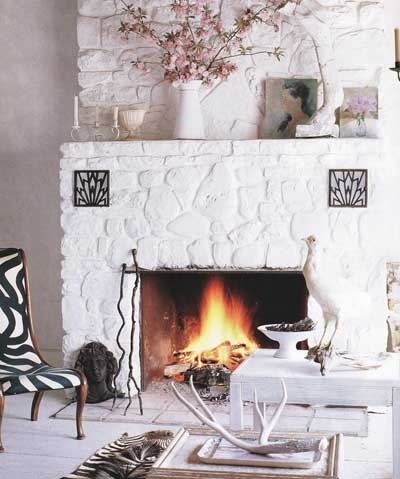 I like the idea of painting the mantel a different color! I don't think it looks that bad, but I understand that the scale has to be a little frustrating. I'm sure painting it will help give the room a more cozy look. Looking forwarding to seeing the room as you transform it! Thank you, Lisa! Doncha love paint? 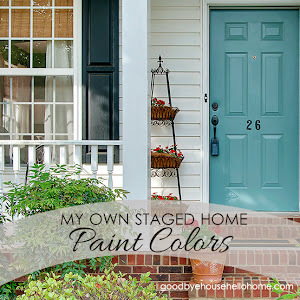 At first I was going to say paint it but if your husband is game for taking it out then go for it! 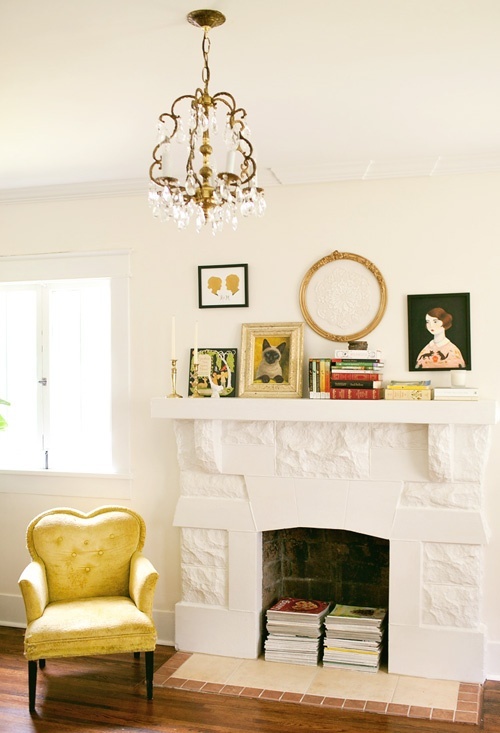 There are too many old beautiful mantels out there or you could build one that you love. I'd take it out and put in something you love. Life is too short to live with something you hate, especially something big. Thank you, Teresa! I agree. You can always try painting it first and see how you feel. The inspiration photos are lovely. If it still doesn't make you happy, then break out the sledgehammer! Thank you. 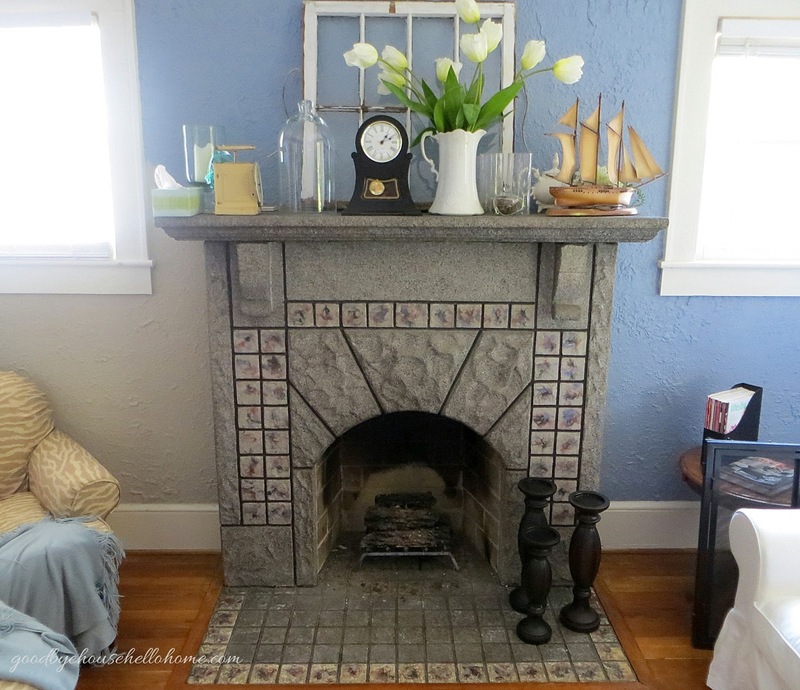 Weighing my time and energy--a few hours painting vs. weeks of remodeling a fireplace... hmmmm. I think painting would make a huge difference. You have such beautiful taste that I know whatever you decide will be best! Thank you for your confidence in me! Guess what? I am going to paint it right now...gulp. 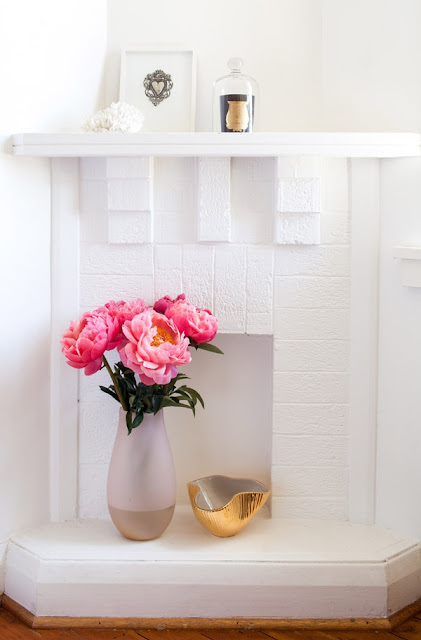 Well, I'm a fireplace lover. I use ours almost daily in the winter. I think they are romantic, cozy, down home and add tremendously to a home. 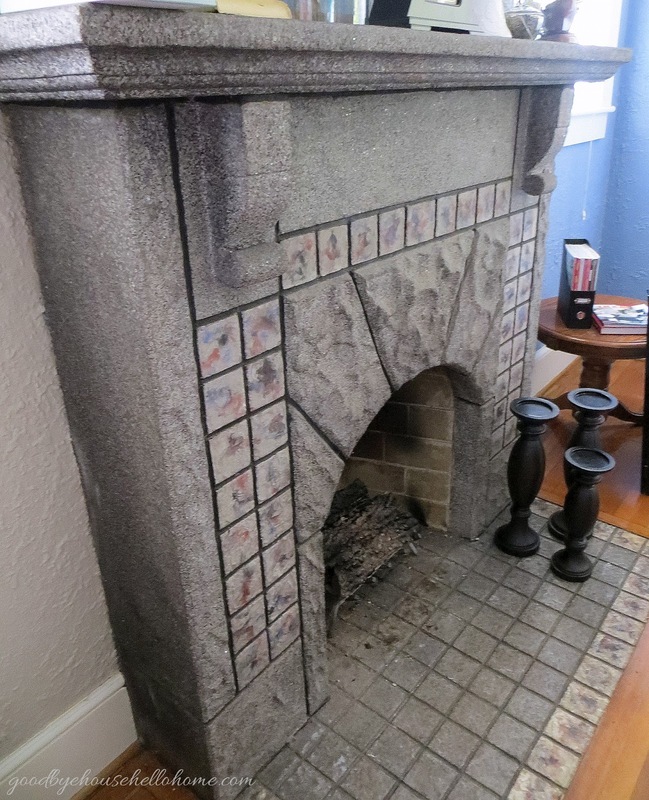 As a matter of fact, when we were looking for a home, I wouldn't see any without fireplaces! ha! Drove the real estate agent nuts. With that said, I have to say that you have to make your own decisions. I think painting it white would make a huge difference. 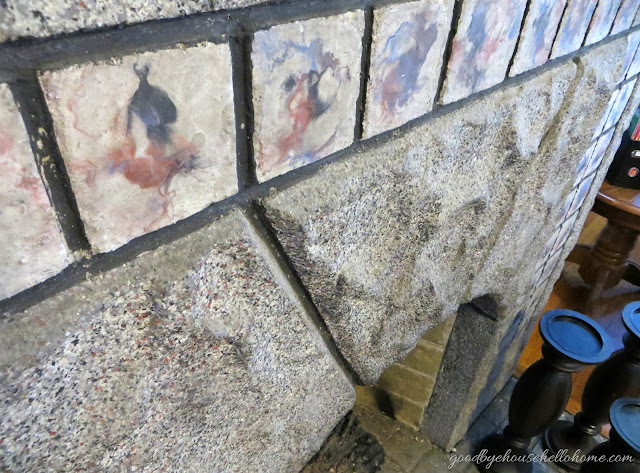 Of course, if it weren't so difficult, I'd say remove the granite and see what's behind it. Might be a LITTLE mantle. But if that's too arduous a job, just paint, paint, paint. Hi Leslie, glad to see you have made some progress on your boxes and looking forward to your projects and fluffing in this new home. 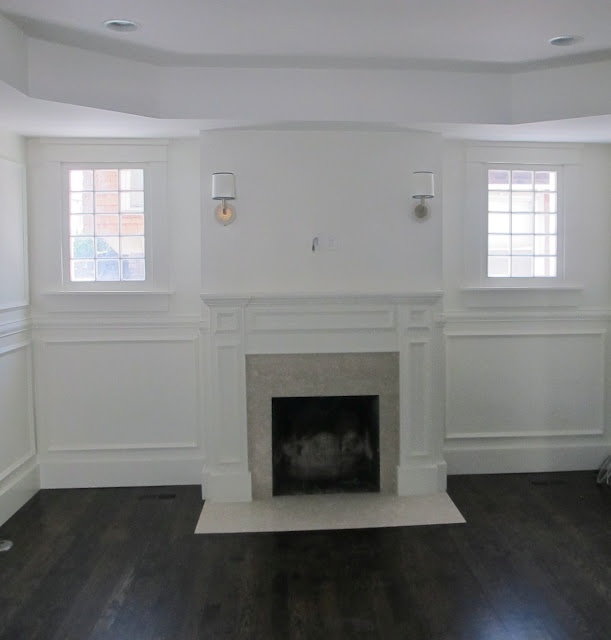 I too love fireplaces and can see why you would want to paint it or replace it. If you are up for it, I would say peek behind it or remove it. 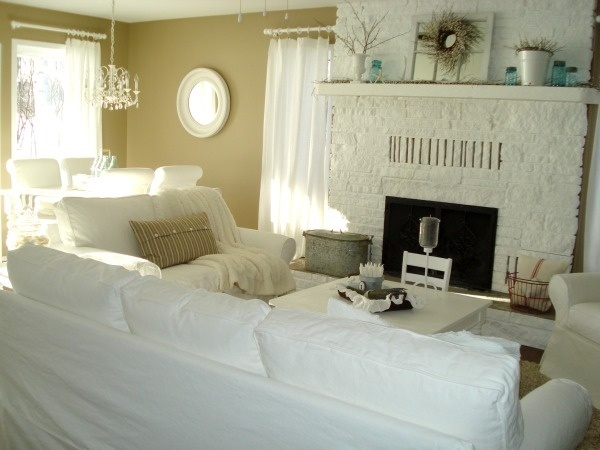 If not and you want a temporary fix, painting closer to the wall shade would be a good idea. It's already looking better with the new paint by it, but I think painting it would make a world of difference. I even noticed one of those insp. pictures was similar in scale to yours. But I am oh, so curious as to what the original looked like! I love the white paint look - it'd be a cheap idea to try and if you still hate it, you can take it out! 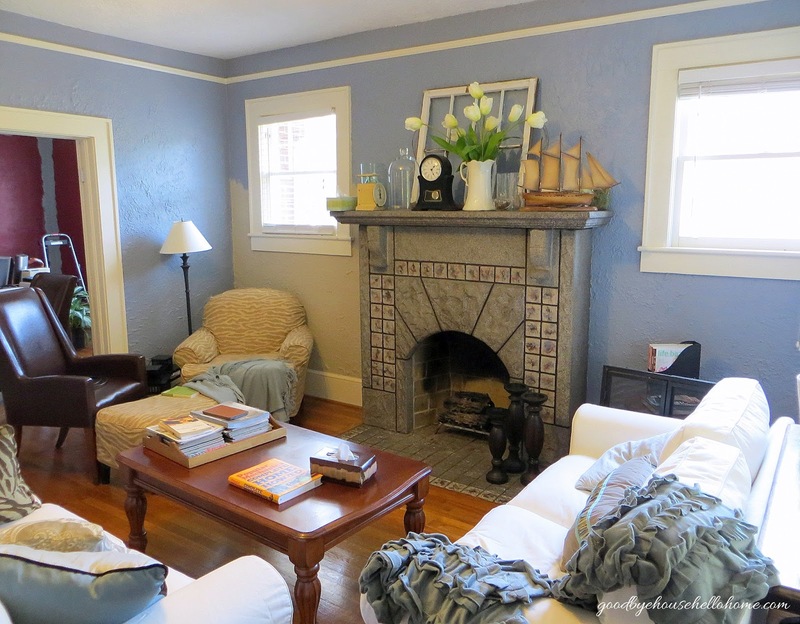 I would paint it white and maybe reface the mantle only with wood. I suggest painting it to match your trim color, and then consider painting the squares the color of your walls - or get a couple of those small sample paint jars in a couple of shades just a very subtle difference from your walls and paint the squares randomly so they "go with" your walls but don't exactly "match" - it will make them look custom or natural. If you could use a subtle marbleizing or cling-film faux technique, you could get an even more custom look. 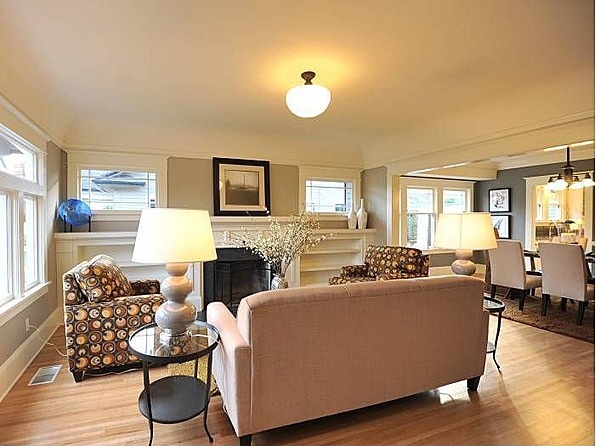 Narrow low bookcases flanking it, also in the trim color, would complete the built-in look. There's no reason not to put the chairs in front of the bookcases, obscuring some of the books or objects, so you don't lose your furniture placement. 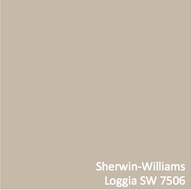 Or, going another way, paint the whole thing the color of your trim, and then paint the mantel and the squares the warm wood tone of your floors - with or without a faux woodgrain - to take your floor "up the wall" so to speak. If you did bookcases, you could paint them the trim color with that same woodtone brown as their top color, especially if that top overhangs by a half inch to an inch, so it looks like the same material was used across the top of all of them. 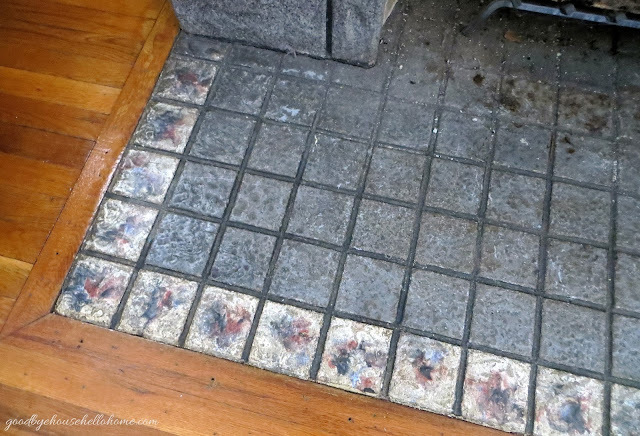 The fact that those squares continue onto the floor would make the transition tie in beautifully. I would rip that sucker out! It doesn't work so why bother making it pretty? Did you see Miss Mustard Seed's fireplace removal post?! 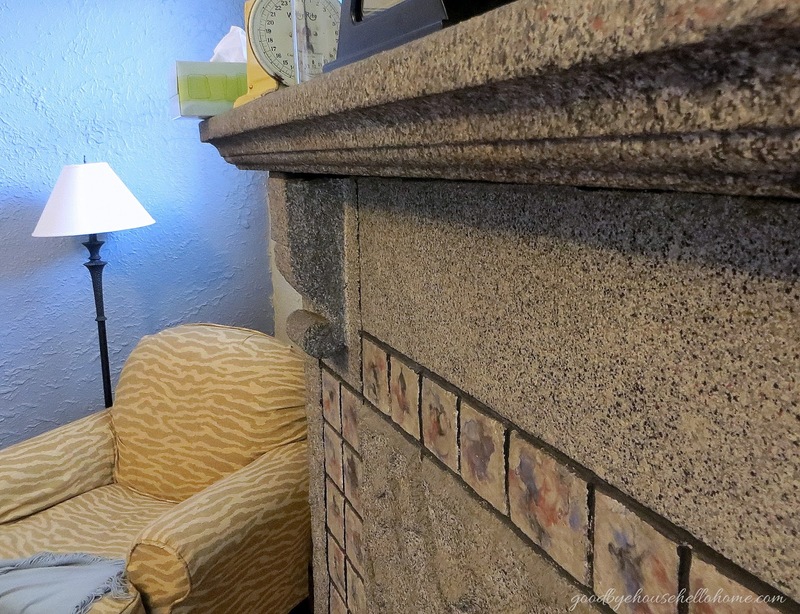 What a difference it made and I love fireplaces. But if it doesn't work it is a waste of space.